Things are a little rough out there for some shooter games that aren't PlayerUnknown's Battlegrounds. 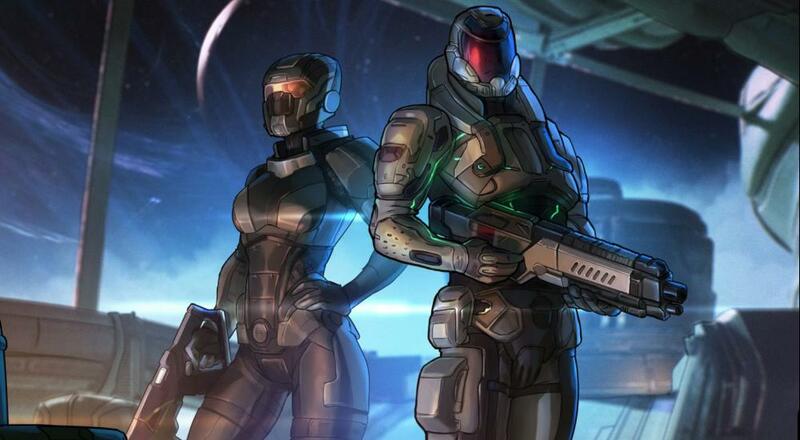 While the entire game itself struggled with issues since its launch, ultimately leading to an announcement that there would be no further single-player content or updates, the one shining point to Mass Effect: Andromeda was its co-op mode. Sadly, it seems that despite what was stated in that previous post, that, too, is coming to an end. In a new post that went up a few days ago, the developer stated that there will be a few new additions to the co-op in the form of new "kits" (i.e., playable characters in the mode) and a new assault rifle (the Sovoa), as well as new limited time APEX missions every weekend. These updates will roll out over the course of the next couple months and there will be a special N7 Celebration event in November. However, the post also states that while there may be some scattering of updates to address quality-of-life reports from players, aside from that "there are no planned patches." In other words, this may be it for Mass Effect: Andromeda. It is tough these days to grab the attention of gamers and hold onto it through the next set of big releases. It's even tougher when the initial words about your title aren't positive. For a game like Mass Effect: Andromeda where it attracts a good chunk of its audience based on the strength of the single-player experience and then also provides a co-op mode to play, failing to bring in that initial target demographic hurts long-term. Hopefully the lessons Bioware has learned from this whole experience will help inform their next title, the intriguing loot-shooter Anthem. Page created in 0.2196 seconds.